White House announces follow-up meeting between Trump and Russian counterpart will be postponed until next year. The White House announced on Wednesday that a follow-up meeting President Donald Trump proposed holding with his Russian counterpart Vladimir Putin in the fall will no longer happen this year. "The President believes that the next bilateral meeting with President Putin should take place after the Russia witch hunt is over, so we've agreed that it will be after the first of the year," Trump's national security adviser John Bolton said, according to CNN. The second set of talks, which Trump instructed Bolton to organize last week, drew surprise and consternation among some national security officials. The invitation was abruptly announced on Twitter by White House press secretary Sarah Huckabee Sanders and Moscow had yet to accept it. The news caught at least one senior administration off guard. Director of National Intelligence Dan Coats was being interviewed on stage when the announcement came. He reacted with shock, angering some in the White House, and was later forced to apologize, noted CNN. The Kremlin, which acknowledged the invitation last week, did not immediately accept. Instead, a spokesman suggested the talks could occur on the sidelines of international summits. "There was no discussion of future contacts at the Helsinki meeting, but several days later the United States suggested hosting the next summit in Washington at the end of the year," a Kremlin aide was quoted saying by the TASS news agency. "The offer was conveyed by US National Security Adviser John Bolton. Trump also touched upon this matter in his statements." "Practical steps to prepare for that meeting have not yet begun," the aide said. 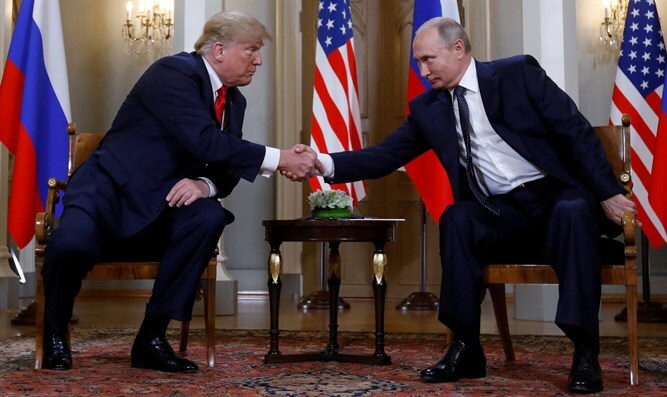 Trump had previously caused an uproar when, during a press conference with Putin in Helsinki, he appeared to back Putin’s claims regarding Russia’s meddling in the 2016 presidential election. Last week, Trump clarified in an interview on CBS News that it is "true" Russia meddled in the 2016 presidential election, and stressed he would hold Putin responsible for interference.